DigitalOcean provides the best tools to control your virtual server in the cloud. Learn how we deliver the most intuitive interface and features so you can start building your web infrastructure today. Digital Ocean, is a service of servers of the best quality, that could be found in the market, has servers in different locations protected with security against DDOS attacks, the service is supremely stable, the servers are always online, have no falls, no failures, of any kind, the support is great, always respond on time. The authentication factor can sometimes be annoying, it is necessary, but you should try to implement an additional security measure, which does not involve the use of this method, since sometimes it can be somewhat slow, and cause some discomfort, but hey, It's something that many companies use, so it's not much to bother with. Develop new applications and products based on the cloud, which can simplify and replace the use of common software, by having a server service so recognized and of such good quality, anyone would be encouraged to buy other products, as do other companies similar cloud servers. The creation of a database on a hosting platform, of all kinds of high capacity files, our company, has hundreds of GB in the documentation and market files, which are updated daily, which in physical servers, would be very uncomfortable, for all who need it, as responsible for the information and technology, this helps me to solve all kinds of data hosting, in the cloud everything is easier, faster and safer, it is a backup that you know that you have there, to use at any time. "Amazing Experience for New Developers"
The simplicity of spinning up a server on DigitalOcean is amazing. In under a couple minutes, I can SSH into a server that I have full control over. There are also awesome ways to perform backups and other redundancy features, and they provide tools (and are constantly developing new tools each year) to make development fast. My favorite tool is cloud firewalls because those save me a lot of time when spinning up new systems. There are some key features that are currently not supported, such as having a managed PostgreSQL server. However, some of these are coming soon to the platform. Take advantage of the tutorials that DigitalOcean provides. They are amazing and helpful, and they also give you additional tips and resources to help you learn. I created a full-stack custom web server for my investment startup, and using DigitalOcean allowed us to spin up a fully custom system with little-to-no-effort on the server management side. In addition, the DigitalOcean tutorials allowed us to push products faster than I ever could have on other platforms like AWS. "Improving company with some way to go"
I like their easy to use control panel and transparent simple costs. Their new services are also great as they keep bringin out great tools that any sysadmin would be happy to have. Their one click installs to spin up severs with pre installs of variuos tools its great for people not so used to severs. The price and simple to use UI is great and makes it the best place for companies with less sever exsperiance to start. They have great documentation and they are adding new services all the time to allow you to create really cool infastructures. I need a way of spining up customer severs fast and have a repliable but cost efficeint service. Digital ocean was a good soloution for this. They have alot of useful guides to help people new to severs and they have a lot one click soloutions that make life easier. the best thing and the one thing stands out from similar services out there is the customer support offered by the digital ocean. I had many troubles with WordPress and accessing the servers from the first day. the customer service was always there for me and fixed the issue each time within minutes. absolutely delighted. they also offer a free trial that gave me $50 in free credits to test their services and it lasted good 6-8 months and i have to say i'm more than impressed. the servers are fast and my website started to load with a blink of an eye. even after the trial, its really affordable and they got a plan for everybody irrespective of your budget;. all their servers are equipped with SSD's so that your servers will be blazing fast and website respond as well as loading time will be really cut down short. they also offer a wide range of operating systems and scripts for you to choose for installing on the servers. the setup of servers is also pretty quick you just need a few clicks and done. its also pretty easy to manage or destroy a server you've created. the interface sin't really complicated and most users won't have a trouble moving through the website. they dont offer windows servers and I really find this as a downside of the host. i also had a few troubles with the SSH access. the servers are great as well as the customer support and i highly recommend yo ut ogo with digital ocean even thou you can find cheaper services in the web. Hosting my websites on the cloud as well as running applications on cloud servers. Ability to deploy, upgrade or downgrade server specs as needed at any point + flexible pricing. For example, at some point a certain project would not compile due to low end server specs. I was able to easily upgrade the server, compile the project and downgrade the server back. If I need to test some software I can deploy a new server with one-click configuration in a few minutes, test the software and discard the server. Another great thing is community guides. Plenty of useful information to help deploy and configure various software and environments. DigitalOcean dashboard is nice and easy to use. The only issue I had at some point is outgoing email delivery due to blacklisted IP address. Some email providers had to blacklist a whole range of IPs belonging to Digital Ocean. This might be a result of how easy it is to deploy a server and abuse it for unsolicited email delivery. To be fair it’s something that any cloud provider might experience and DO support was quite helpful. I’m running web sites for my own software products. Nothing big, so a cheap low end server spec is enough for me. I’ve been using DigitalOcean for a few years now and I'm happy with it. I moved to the digital ocean to host my website in the cloud as it could help my on-page SEO by reducing the website loading speed. I was really impressed by the Service provided by them, the servers are fast and really easy to configure. within a few clicks, you can easily create a server with WordPress preinstalled on them. they also gave me a free trial worth $20 which helped me to test the server for a period of around 4 months. another great thing is the pricing, its real customer friendly and can be afforded by everyone. I have to mention the support here, they are really great. I didn't know much about hosting in the cloud and ran into many issues with my WordPress setup. every time the digital ocean support was there to help me out. the website comes with a beautiful user-friendly interface, I had no trouble navigating through the site. the uptime provided is really impressive, in the whole time I was with the digital ocean only once my website went down that too the mistake was on my side. their servers run on SSD, so don't have to say how fast they are. my website started loading in a blink of an eye and surely helped mine on page SEO. this is not the cheapest service for cloud hosting in the market, there are several companies that offer similar server specifications for a cheaper price. once they put my account under verification for no reason at all. the servers are blazing fast. i do recommend you to try them. the best thing about Digital ocean is the speed of the servers and its the one quality that impressed me the most about them.all of the servers got SSD in them so that your website will load in a blink of a second. i used to host my website in shared hostings and the speed increased exponentially since moving to cloud hostings. the pricing is also cheap, you can get web hosting services starting at just $5 per month which is pretty impressive compared to the quality of service offered. the customer service is another perk about the digital ocean, I had no knowledge on cloud hosting before when moving to the digital ocean and ran into many errors, the customer service was always there for me and replied almost instantly to the queries. the setup is pretty easy, the digital ocean dashboard is really simple and quite easily move around the website. the server setup is very straightforward and you can deploy servers which is called droplets with only few clicks. the servers can be made to run on a variety of scripts and popular operating systems as per ones need. the payment gateway can be troublesome and i frequently got my card denied for so reason at all. this is one of the best cloud hosting providers in the market, go with them. Hosting websites in cloud servers. the service is great and the servers are incredibly fast. my website started to load much faster. the performance of the servers is really great, they are fast and powerful. used it to host my domain and the speed of the loading is really impressive. the customer service is also great,, usually, they respond within minutes to your queries. The setup of the servers and interface is also great and noobie friendly. back in the time, i didn't know much about cloud computing but the way around digital ocean was so easy and i had no trouble navigating or setting up the servers. another great thing with Digital Ocean was the Free trial offer that allows users to test their server for a period of 60 days. I too started out with their Free trial and really liked the performance provided by them. they also have a lot of servers all across the globe to choose from. the billing is really troublesome, sometimes it works sometimes it won't, it's really frustrating. another problem with the digital ocean is with the web console, it always fails when I try to log in and eventually contacted the support and got it fixed. the pricing is not the cheapest, you can get servers with same specifications for a cheaper price from competitors. they are fast but not the cheapest. so choose according to your need. Hosting my websites on Cloud, the servers are really fast and my website loads much faster after moving to the digital ocean. "The Best Cloud Service out There." I started out using Digital Ocean through their free Credit Promotion which offered $50 towards using their Servers. It tried it for about a month and my website never went down a single minute while I'm with them so I decided to choose their servers to host my website permentanly.. the performance of the servers is of superior quality. also, the customer support provided by the digital ocean is quite satisfactory. they used to respond to any queries within minutes. THe cost, Comparing to other cloud providers out in the market, the service provided by Digital ocean is a bit Costly that for someone starting out their business it can be a burden on them. I had few troubles with them at the beginning, once they put my account on hold because they thought that something was suspicious of the account and they resolved it within few minutes, another issue I had with them is with the interface also the options provided by them is so confusing that as a noob i had few trouble setting up my servers. its one of the faster servers in the market. you won't be disappointed. Cloud servers used to host my websites and create regular backups. DigitalOcean is a supplier that has an excellent price/quality ratio. DigitalOcean provides such services as web hosting or VPS, which I use every day. One of the main advantages of DO services is high uptime, which makes the services work practically 24/7 without any problems. DigitalOcean gives you the ability to configure services according to your needs, so you can change the parameters of our servers. It is worth mentioning that data center, DigitalOcean are located all over the world, so that we can choose the right locations for our services. Management of the servers and the interface is straightforward, so new users without any experience with the Management server will be able to cope with it. Digital Ocean also has excellent support and a blog where you will find many tutorials that make it easier for us to use our servers. One of the drawbacks of DO is the limited number of available systems compared to other hosts available on the market and for some problems may be the lack of CPanel, which we have to install ourselves. If you are looking for hosting that allows you to test applications before deploying them on a production server, you should consider trying it now, especially since you can get $100 to test their services! Thanks to DO services, I can test the services before they are implemented and I can store backups of files that are important to me on the VPS server. "Robust, Fast, and Easy to Use"
I'm a relatively new Digital Ocean user. I've played with "two-click" providers in the past, and ultimately decided to switch to Digital Ocean because of the best cross-section of overall specs, price, platform, and user reviews. I was not disappointed. Digital ocean lives up to my expectation and more. Navigation in the dashboard is relatively a breeze, getting up and running is a short process when launching a new product, and they offer tons of options to make your workflow easier. I wish there were just a few more products offered, and I wish it was a bit simpler for an entry level user like me. But with time it's not that bad. Web Hosting and product storage. "Low-priced products and high-performance virtual machines"
DigitalOcean is a excellent cloud hosting solution that is designed to simplify web infrastructure for developers. The company has such fantastic offers, so due to great hardware features and amazing prices, they meet the needs of my website. The VPS is straightforward to configure and manage. Technical support deserves praise, as it's helpful and responds quickly. The servers come with high-performance SSD hard drive, which makes my cloud work at high speeds. The platform isn't intended for beginners. However, you could find many tutorials on DigitalOcen's site, which show how to run and customize the cloud. I recommend the hosting solution to small and medium sites, which need low-priced products and high-performance virtual machines. DigitalOcean enables me to run my website and store some of the company's sensitive files. Having a custom server solves my security issues, as the hosting is well-protected, so it makes me sure my data won't be stolen. "Rock Solid Hosting. ZERO downtime in 3 years. Nuff Said." The easiest to use and the most reliable platform for hosting I have come across. I don't use anything else in my business now. Whats not to like. Easy fast deployment, amazing prices, built in dynamic scalability. Full image backups. An excellent platform I trust completely and do not see switching to anything else in the future. I am hard pressed to dislike anything. It is all very straightforward. Being able to downsize droplets dynamically would be nice I guess. But that is an idle notion with no concept of the difficulty in facilitating that. Digital Ocean has been completely reliable for me, and never had any issues. Ever. Server performance and reliability are first class, and recommend these all day to anyone who listens. Scale. Glorious scale & cost. DO allows me to work with the resources I need, and increase capacity as and when I need, without headaches. Digital ocean, without doubt, is one of the fastest cloud services I have used and nowadays I moved all my projects including web apps, web hostings and other projects to the digital ocean by this. Digital ocean probably isn't the cheapest servers, but they are of the highest quality, since I moved my hosting to the digital ocean, the load time increased drastically, and there is a sudden spike in the Google web speed checker, you won't even feel there is a loading process now. the pricing is amazing, everyone has a choice here and you can create your own servers called droplets with the specifications you need which suits your needs and budget. servers can be accessed easily too. the project management is also great, you can add servers and work to different projects, change the server requirements and tweak it easily to best suit your needs. user interface is beautiful. I'm not a fan of the digital ocean support, and usually, they take hours and sometimes even days to get s reply to the queries whereas other services offer instant chat support when you're in need. Digital Ocean is undoubtly one of the best cloud computing service out there but their support isn't up to the mark. Digital Ocean is a cloud computing service which offers many solutions to your web needs including hosting and web development. "It's Amazing, Until It Isn't"
* Support - It's impossible to get anyone on the phone. Tickets are answered in a 1 response every 24 hour cadence. If you're hosting a single, simple SMB website, where responsibilities are shared across a dedicated team, I can being happy with their support. They're really good at copy/pasting well written solutions to common problems. I had an SSH Key Authentication break and found it annoying that "there isn't any other authentication or access options we [DO] can offer" other than taking the server offline, removing the image, and asking me to manually redeploy from scratch. That was annoying, but I get it. Unmanaged hosting an what not. My issue was that I had to open up 4 tickets over the course of a month to get that answer. The first three were either not responded to or closed less than 24 hours after answering a question with a question. That seems to be common practice. Again, if you're sitting around at your computer just waiting for DO support to e-mail you, then that's ok. If you're spinning 14 different plates like Red Panda it's no bueno. "Hey there, thanks for reaching out to us! What issues are you experiencing reaching the Droplet? We'd be happy to help in any way we can! :)"
At this point, I'm working 18 hours a day between work and school, and decided to deal with it the end of the month, post exams. Turns out, that was a HUGE MISTAKE! Over a outstanding balance of $23.61 they shut down my server a few days after the above exchange, sent one automated e-mail, and then wiped the server clean 2 later. 2 years of work just vanished forever, completely unrecoverable. I'm not a complete moron. I had personal backups of my major projects, but I did loose a website I created using DO's 1-click WordPress install app. Lost 100+ hours of work and generated content. That whole site was probably less than a MB. I figured they'd at least backup their word press installs the same way most other providers do. Nope. I take responsibility for what happened. They were within their rights. I just think that's a stupid way of doing business. When I was evaluating providers in a professional capacity a few months, knowing how cavalier they are as a company towards their customers data didn't inspire a lot of confidence. 99 times out of 100 it wouldn't be an issue, but I'm not risking my business on those odds. The crazy thing to me is, I'd have paid $300 for that backup without batting an eye. I'd still do it 6 months later. Google for one understands this. Anyone notice what happens when you overload you Drive storage limits? They don't cancel your plan, delete your data, or ever stop you from uploading more. They just wait a few months until you drive folder is 370% full and then tell you your e-mail is going to stop working unless you make space or pay more money. That's smart business. And, I guarantee that when they lock user's out of their e-mail accounts they don't close the account or stop storing the data. I guarantee they keep all those e-mails as an incentive to pay. Make sure it's the right product for your use case. If you're managing a single site with a quality technical team, it's a great fit. If you're an individual or agency managing lots of projects on a single server and want the peace of mind that you can go on a month long honeymoon and not have your business wrecked by your hosting provider, I'd choose another solution. It's worth the extra pocket change. For larger tech companies, I'd suggest going with Amazon or Google, because they're need to maximize server usage doesn't outweigh their desire to protect your data and keep you happy. I was looking for a one-stop shop location to host a myriad of personal development projects. "True 0 downtime, easy to setup and well maintained how-to docs." Have been using DO from almost a year now and the best thing about DO is it's quite smooth and user-friendly interface which does great things behind the scene like spinning up of virtual servers for you. 1. Pay as you go. 4. Large and useful how to do documents. Sometimes they send a verification code on your email when somebody tries to log in on your behalf from remote location. Although it's a good security measure but in situations when you are traveling and your colleagues try to log in on your behalf they are left stuck. If you are not mature enough in managing server and have tight budget then DO is for you. Go for it you can use technical notes and how to do notes from DO which are easily available. Our main problem was to host a product on a reliable infrastructure once it was ready. Somebody suggested DO to me and I went just to try but since after we are using this for almost every other product. We never observed any downtime due to hardware failure and that's the best benefit we have obeserved after switching to DO. "Robust cloud platform for the serious admin or DevOp"
Speed of deployment and ease of use are the hallmarks of the Digital Ocean platform. Add in the image, backup and snaphots features and deploying, recovering, moving, updating and other server admin tasks are very easy and accurate. some key features are not available in various datacenters while other features cannot be used with VM's located in different datacenters. Digital Ocean requires that the user have experience and skill with the deployment of servers and with Linux OS. Their help is also strictly email based and while I have experienced acceptable rates for replies, some may need a more immediate and hands on support system. Creating a scalable, robust and flexible hosting platform for our various web based servers. We have seen significant increase in server performance and scalability with Digital Ocean versus the previous dedicated server environment. "Best bang for your buck in VPS solutions"
Coming from a Windows Server environment and wanting to try an inexpensive Linux VPS instead, I found the documentation to be extremely helpful. Coupled with a little bit of Linux command line research and DO documentation, I got myself up and running on a very secure server in no time. Some other reviews relating to "deleted block storage" volumes or other products has me a little worried (these reviews relate to lack of payment/updating expired payment methods). But I have two payment methods in place so I shouldn't have anything to worry about. I would recommend thoroughly reading all reviews to determine if DO is a good fit for you; but so far I haven't experienced any real issues of my own. Do your own research. The positive reviews are great, and most are very similar, but I would recommend looking at the negative reviews as well - chances are those reviews will provide a little insight into possible problems (that may have been addressed since) that you can avoid or keep in mind when using their products. But again, I can't say that I have experienced any problems with Digital Ocean; to me, they have great products, and great documentation to help you get up and running in about 15 minutes. I have a shared hosting plan with GoDaddy and tried their VPS as well. I found it more advantageous and less expensive to use Digital Ocean for my VPS and keep any small websites on my GoDaddy shared hosting, thereby making the best use of both web hosts. Any larger web applications are now hosted on my Digital Ocean account where I can also easily set up background jobs to reduce the amount of work I have to do from administrative functions (eg. invoicing) to automatic database backups etc. The easy to run a machine. In other clouds, it's far more complicated to start running. And it has all the features we need, like snapshots in time (very handy, because our machine got hacked a lot of times, so we simply started again from the snapshot). The zone availability is also great, so if you need simple projects hosted on the cloud then DigitalOcean is your friend, I wouldn't recommend it more! Maybe the lack of other possibilities, but they are still working on it for some years. Let's see what we'll be seeing next. If you don't want to complicate your life - use DigitalOcean! We deployed a great number of servers using DigitalOcean. The price is a bit lower than the big ones, so that's a plus. The servers were everyone different, for different purposes, so every machine had different attributes. And sometime when they were not being used, we simply would remove them. Half of the servers were for webpages and another half for backend services. "Easiest way to get a server up and running." DigitalOcean has an incredibly easy to use UI. It has a very simple interface that makes it so easy to spin up a new server that even the most inexperienced junior developer can mange the task. It's super simple to throw away test boxes that you no longer need. Its pricing is based on the resources you use, which means you are not locked into paying for a VPS for a minimal term. Only pay for what you use. Its far more expensive than other VPS solutions available. Its cheapest server only has 512MB of RAM for $5/month. Which is not even enough RAM to install NodeJS and build your frontend assets. The next tier up would be the 1GB RAM server for $10/month. There are a number of reliable VPS service providers that can offer 6 times more memory for a fraction of the cost of DigitialOcean's second tier price plan. Think about the price points and the trade off for ease of use. Although its more expensive to run a higher powered machine, its incredibly easy for small simple tests on low powered boxed. When the business has a need to quickly test a new product in isolation, we can use DigitalOcean to quickly spin up a simple server for testing. It makes it an incredibly easy service for destructible testing. "Quick & Easy Development and Limited Production Environments"
There is so much. Quickly and easily spin up a VPS test server with virtually unlimited configuration operations on the cheap. There are a ton of preset distribution stacks to choose from and pre-installed application setups as a starting points. Many options for connecting to administrating your server. The web based control panel is very easy and nice to navigate. There is a good amount of documentation and community authored content to walk you through anything you might want to try. There really isn't any else like it out there. Totally a hosting solution with development testing in mind. That is not to say this won't also work for small production servers. Only just a couple things. First, I think they might have small scale development needs a little too in focus which is a shame if you want the same sort of experience in large scale production deployment cause it simply isn't as affordable in comparison. In my opinion, they need to balance this out a bit more. Second, I'd like a way to quickly clone my VPS to my own back-up facility that is as accessible as just about everything else this provider offers. Again, if you are a developer that needs (or wants) the most affordable way to quickly test virtually any kind of deployment scheme or need lots of small-scale projects up and running in a live environment quickly and cheaply, you will be very hard-pressed to find anything better. If you constantly need live deployment testing, personal & small-scale client deployment infrastructure, and are a developer looking for the quickest and most affordable way to achieve this that provides one of the most pleasant experiences there is to be had in the web hosting market, there really isn't anything better you can find. It excells at what it specializes in almost every way. But there is always room for improvement. "The best hosting service on Earth." In few seconds, I can run a fully functioning GitLab instance, or Discourse, or plain Fedora image. It's amazing. Variety of droplet sizes determines variety of prices, thanks to this you can be sure that you will pay for the configuration you really need. Prices are very affordable and you can choose one of the many data centers located around the world. 2 months vacations? Not a problem. Take a snapshot of your ownCloud droplet and turn it on when you need it again, all data will be in place. The best feature for me is a tutorial repository created by community and DigitalOcean staff. Clear instructions and explanations = great knowledge base. After a clean installation of some images, there are some steps you should take to ensure security. Usually, it's a good idea to check few tutorials related to your image to make sure that your configuration is secure. It's not a big problem, but I think that users should get more direct instructions after installation. If you are a student you can get some free credits for DigialOcean with GitHub students pack. If you are not a student you can use a referral link to get $10 credits to test the service. I use DigitalOcean to test my web applications and to play with the services I don't know. DigitalOcean is also a hosting for my ownCloud and GitLab used to collaborate with my team. "Digital Ocean is hands down the best hosting provider I've ever used." Digital Ocean makes spinning up a server stupid simple. I've been using Digital Ocean for about 2 years now, and have since moved all of my web hosting services over to them. You can get an Ubuntu server created and online in less than 2 minutes. They provide dozens of detailed tutorials for getting started with installing a LAMP server on your machine, have great customer support, and the pricing is very reasonable. I honestly have nothing negative to say about the time I've spent using Digital Ocean. 10 out of 10 experience! If you're looking for a hosting service that's fast, easy to use, and affordable, definitely give Digital Ocean a try. Their cheapest hosting starts at only $5 per month, and allows complete control of the server via SSH. You can use your server for anything. I have several that I use for hosting websites, and two strictly for running Node.js applications and Twitter bots. Digital Ocean makes maintaining and scaling your web servers a snap. I use them for all of my personal projects, and recently started moving my clients onto Digital Ocean as well. Having all of your droplets in one easy-to-manage place is very helpful. "Do you want a VPS with an AWESOME support? This is the choosen one." The best is the Support. This people sell self managed VPS and you can think - "I need to do this by my own" - and yeah you are right but even with that if you have a problem with your system, this guys helps you without doubts. The current VAT tax system, it assumes the country from the payment from the origin of your card. I do use Payoneer, the origin is the UK but I'm in Colombia, they keep charging me with the VAT tax. (I already tried opening a ticket). The support is AWESOME, this people knows what are they doing. They are growing up an that is nice. "It's more complicated than it should be, but the product is useful"
So, this is my take on Digital Ocean: it's more complicated than it should be, but the product is useful. I inherited the system from my boss who left the company and I know that so many of our servers and services and softwares and programs are hosted by Digital Ocean. So, I know it does so much good for us and our company. Super useful for holding servers to host RStudio, APIs, shinyapps, GitHub and GitLab accounts, and much more. It is SO complicated and it uses so much confusing jargon. And the informational documentation is not up to par as much as it should be. What's a kernel, for example? Since it's a new-tech term, I have to google it and search in more places than I would appreciate just to be able to use basic Digital Ocean functionality. Learn from someone at your company who already knows how to use it. Hosting servers is the big one. It lets us consolidate so so much. "Awesome platform for simple setups"
DigitalOcean is an awesome platform. The really stick to their marketing about getting a virtual machine stood up super fast. They rarely have outage issues that affect my use and their one-click apps make standing up applications like Ghost or GitLab. They are also a very open company letting customers know about issues or updates happening in the company and in their data centers. They don't have nearly as many features as other cloud providers. Some might like that for the simplicity, but for me, it means that I have to use multiple cloud providers because I want to use DigitalOcean for simple in-house applications and need more robust features for client projects. DigitalOcean is constantly evolving. In the past couple years, they've made huge strides towards competing with the big 3 (Amazon, Google, Azure) and will continue to make steps in the years to come. We just needed somewhere to put servers. Rather than buying hardware and managing it in house, we decided to move to the cloud. DigitalOcean offered a cost-efficient and easy to setup cloud that allowed us to get servers and applications running quickly. "One of the best hosting providers"
Ease of use. Fast, reliable, uninterrupted, highly useful. I also like the dashboard, pretty much everything of digitalocean. Also, they supports students as well which is great! They don't support payment gateway's like payoneer. I extensively use payoneer which makes it really difficult to use this service. Highly recommended! Its really a good service with almost 99.99% up time reliable, and fast!.However, one thing to note that digital ocean doesn't support debit card/ virtual prepaid cards. Most of the projects we have developed were hosted on digital ocean more importantly our clients were satisfied with the service so do we! DIgital Ocean is an absolute cake-walk to get up-and-running on. You simply log in, complete a few very simple steps and minutes later you have a server you can ssh into with your own key preloaded. Not to mention the additions of a managed database service, spaces and kubernetes to round out their product offering without making the interface or API any more difficult to use. I can't think of a single thing I dislike about digital ocean. The only thing it's missing for me right now is its own managed serverless platform. Easy to understand pricing and the one-touch applications make starting a new project a breeze. "Cloud hosting for the rest of us"
Various levels of affordability and excellent customer service. I would have to say that the support system, including the online search function makes it easy to learn more about their services, best practices and how to do many various tasks. The times I did need to submit a support ticket, I always got a response very quickly. I literally do not dislike any of Digital Ocean's services or practices. Also, I would like to point out that since I started using DigitalOcean, any issues I have had have been cleared up quickly. Give them a shot. They have a free trial, and I liked them enough to switch over. Also, don't be afraid to put in a support ticket if you have questions, I have always received a quick and friendly response. You have to have hosting and Digital Ocean gives me the freedom to have my own server at a cost I can afford. "DO provides very flexible cloud computing services for nearly every use case"
I enjoy having control of the VPS via SSH as well as the web interface DO provides. Only being charged for the time it's online is another bonus. Can be complex to setup, but hey that's what comes with configuring a a server. If you need help setting anything up Google is your friend. I had no prior knowledge or usage with Linux distro's before stepping into SSHing into a Droplet. it was a fun time learning. Digital Ocean has a ton of great guides on setting up production ready configurations, look into it regardless of whether or not you're using their services! Being able to start up a droplet with a pre-installed MEAN package and have CI enabled from the get go with my git repo is a blessing in itself. Digital Ocean makes it straight forward when setting up preconfigured machines for typical usage, where they shine is using SSD's for all standard storage, 20GB minimum. The machines are a pleasure to use. The documentation on the Digital Ocean site is extensive and really well composed. I used it regularly even for projects for which Digital Ocean isn't involved. The prices are very reasonable as well. From my limited understanding of Virtual Private Hosting, there are limitations to the quality of the hosting compared to some other VPS options. Sadly I'm not clear on what they are yet. If you want ease of implementation, DO is it. Using a virtual private server is more affordable than an actual private server by a massive margin. Private servers as opposed to Shared Hosting are often faster, give a private IP address and give me access to Super User. "Good for personal data/document storage and hosting"
1. Great user guides - DigitalOcean has a good number of user guides contributed by both their staff and the community, which can help any novice user get started with different kind of projects. It starts from the basics like securing you linux box and goes on to initiate you to OwnCloud and helping you with step-by-step guides on how to set it up on a DigitalOcean droplet. I could easily follow the steps on all the guides and really loved them. 2. Wide availability - DigitalOcean has server options in Singapore, US, Russia and even recently India (announced, but not yet available) - which is great for such a nascent company. The scale of growth and choices they offer have really ensured me to trust with their product. The pricing at different places is the exact same, which is very helpful and quite frankly, unbelievable. I have not seen any other vendor with such options. Also, this helps in ensuring that your client data never leaves the required geographical frame, which is critical for maintaining project safety. I am overall a huge fan of DigitalOcean, so I might be a little biased towards them. But here is still a small thing that I think should improve in the future. They should allow 3DSecure cards for Indian customers, as most Indians dont have credit card, but only debit cards. Also, those cards are not usually international, leading to a huge problem for potential customers. As they are thinking of entering India with new datacentres, this is quite a huge drawback in my opinion. If you want a personal server for simple things like data backup and secured access, I think DigitalOcean is a fine option for that. I use it for hosting personal docements as a backup option. Owncloud is the application which manages all of it, alongwith a secured access page on the droplet IP. It is almost a replacement for Google Docs. "Decent performance for automated testing and deployment"
As you have full access to your server, it is just trivial to maintain, build and tear your dev environment with apt-get, unlike all the voodoo with TravisCI docker builds. Other than the raw servers, the user tools on droplet pages help you a lot with recovering from forgot password or need easy backup situations. Those add-ons services really are praise-worthy from user perspective. In terms of testing performance, because the server resources are statically allocated during droplet creation, it is not easily possible to elastically upgrade when the build load is higher. They have recently added resource upgradation tools but they are only available statically after shut-down, which doesnt totally solve my usecase. I have not explored other VPS solutions before DigitalOcean, so I cant compare with its competition, but I think at its price point there is hardly anything to complain about. We build and test our internal tools on DigitalOcean servers using an automated dockerized solution. We used to use testing-only services for this purpose, but they dont scale well financially for larger projects and concurrent builds. They were better due to their dashboards and parameterized config file instead of code-based configuration, but we decided that it was easy enough to replicate the same with GitLab. The speedup was worth the trade-off. "Provides instant VPS servers and has very helpful support team"
DigitalOcean provides servers that you can create and destroy by the press of a button, with various specs and Linux-based OSs. The blank ones start operating in about 90 seconds, but restoring from images take a few minutes. I signed up for them and was blown away by the simplicity they provided to the end-users even while providing such a complex system with many customizable things. The team iterates very fast and pushes major changes in a matter of months after announcing their plans to do so. Their international expansion is also something to respect with presence in many continents on customer demand. Most of all, the whole experience with DO is very friendly and cosy, unlike Amazon's AWS or others. DO is seriously focused on simple UX, friendly branding, developer-oriented campaigns that is almost unheard of for a company which is essentially providing servers at low cost. I would even say that they have tried to successfully unearth a new set of customers who are slightly tech-savvy, but would earlier cringe from the idea of hosting their own servers - showing how simple it is and providing detailed documentation on many helpful use-cases, they have earned the love of a lot of customers. Another great thing about DigitalOcean is their support team, who have on numerous occasions helped me in setting up accounts and payments and were fast to respond within 15 minutes or so. Although they dont have any live chat, their support tickets are as good as that with thoughtful and actionable responses. In spite of their best efforts, recently introduced features like block storage, one-click applications, DNS setup have introduced more complexity which sometimes might baffle new users. They have recently decided to add pricing for system images, which is unavoidable for most users and seems like a unfavourable decision to users, in face of their low pricing. If you are looking for a simple option for hosting personal servers, DigitalOcean is the best solution in the market. But if you really know what you are doing, there are some more customizable solutions like those provided by Amazon. We use it for hosting codebase for internal repositories that our developers work on every day. Having custom server solves our security problems as well as gives more flexibility in operations. "Simple, Painless, Cost effective Cloud solution"
Predictable pricing model, Easy to use interface for creating Droplets, Many pre-defined OS Config available, many server locations. Wish there was a way to upgrade(add or remove) just Hard disk space or RAM when needed rather than upgrading to entire plan where i don't need all the other requirement such as extra bandwidth. Try it first and you will be amazed at how ease it is to deploy your application to the server. It has all the requirements to scale up once your app reaches the moon. Scalable web hosting solution. It also has lot of articles and how-to's for beginner to learn and deploy the application. "Cheap NGINX droplets deployed fast - what's not to love?" Affordable, easy to provision environments quickly, environments perform well and are reliable. Solid monitoring capabilities available through the UI so you can evaluate the health and performance of your droplets anytime. Wish there was more flexibility in how the backups worked - you're limited to once per week (at least in my current usage tier). Other than that it's difficult to think of anything that I don't like - this is a very purpose-built platform that does one specific thing really well. We deployed some internal business applications on PHP and have some business logic (REST-based pass throughs connecting different web-based applications that we've procured). DigitalOcean also drives scheduled exports from several of our applications to Klipfolio (a dashboarding engine that we use for physical monitors / mobile here at SmartLinx). I like DO because it's cheap, and the website UI is great. I also like that they are trying to create a documentation for each kind of language and framework so users can leanr how to configure and deploy their apps. As a Rails developer I have tried following all the docs to be up and running with my own custom server on DO but it was impossible, I tried many many things, but nothing worked, I think they are in the good direction but need to review their posts because they are not working, they do not teach how to deploy a Rails app which is very easy on Heroku but not over DO, again: Videos are the keys, PLEASE make sure you communicate to your users how to deploy a Rails app, it is really hard to do it. Do not use it for Rails, you will suffer pains with this. They are not resolving anything for me. Because it is hard to configure this for Rails apps. "DigitalOcean is perfect for development environments in 1 clicks (almost)"
The GUI is very intuitive and minimalist, the options are just the minimal (and enough) you will need to deploy a server (or service), the OS's variety is good and cost is the best choice. The monitoring system can be improved and one option to upload your own cloud images could be great. If the variety of operating systems is good for you, is complicated to find a better option with this easy to use interface and cost. 2. High bandwidth allotment - Default bandwidth of 1TB per month included with the plan is more than sufficient to host any moderate to high traffic website as long as you are serving the static content from a CDN. WIth most services you have to pay for traffic beyond a small limit and with DigitalOcean, we hardly cross a quarter of the limit. Even beyond this usage, the extra charges are very low for what any decent ISP would charge you in India. 3. Support reps are active on various social platforms and also very responsive on any problem you ask them about - ranging from payment to team management. 4. Team management is an essential element which they have finally added and that is what our team just needed to manage so many dev accounts from one place. The admin account can pay all the bills and manage access to the resources for all sub-accounts. I hardly see anything bad with their services, but keep in mind that their outgoing connections can sometime go slow for a few days and sometimes there are temporary restriction on using multiple servers from the same host location. DigitalOcean is a very good choice - I can't recommend them enough. We use it for building front-end assets and codes and serve them to the visitors from the same servers. "Provides economic servers with fast boot time"
1. Server options are very economic - it starts from about $5 for the basic one with 0.5 GB Ram and 20 GB HDD, so pretty powerful for hosting a simple website. You have total SSH access to the machines and they also provide a web SSH shell to try out things faster. 2. Backup, private networking and IPV6 options were added recently making it also suitable for larger infrastructures and complicated networks with fail-safe. Private networking also doesnt count towards your data usage quota, so local access between machines on their same datacentre is essentially as good as that of a self-hosted option. 3. 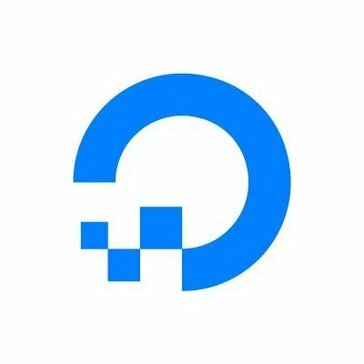 DigitalOcean has a public request submission forum on UserVoice which makes sure that user demands can be communicated efficiently to the developers. They chose and implemented a lot of those popular requested features. 1. Documentation can be submitted by anyone, but the review process is very closed and archaic. Comparatively, that of its primary competitor is very much open and is stored in public repos. DigitalOcean is one of the most popular options now-a-days for using cloud-hosted VM servers and they provide a small signup credit. So its easy to test it out before committing. We use VMs provided by DigitalOcean for building and deploying our product to a few separate private servers. "My 127.0.0.1 away from 127.0.0.1"
DO provides the fastest spin-up on what is essentially a VPS server ("droplets"), at a cost-effective and manageable price point. The number of droplets I can create is limited until a request is made to increase the limit. I understand this is probably necessary to avoid certain forms of abuse, but it is one-more-step if you want to be poised to scale rapidly. Be sure to take advantage of SSH keys so you can log in without typing a password! Also, take snaphshots whenever you like to have a convenient image to roll back to anytime. I use droplets instead of my localhost for almost all of my development work now. Having a "localhost in the cloud" is much cleaner, faster, and fun! "DigitalOcean is an amazing service which is fast, and easy to use. It's my absolute go to." Fast server provisioning, great prices, and the ability to make snapshots. Private networking and backups also are super handy too. Their customer service has been spectacular too! Missing shared filesystem support right now, or file storage as a service. We have to use AWS S3. Also, no in-house mail system, or database system, but that is to be expected. DigitalOcean is perfect for running websites and performing computation tasks using queue workers, however it does not provide database or mail as a service. For that, I'd recommend using something like AWS. Amazon's US East data centre has fast connectivity to Digital Ocean's NY data centres, so using AWS S3 or SES, alongside DigitalOcean is no problem. We use DigitalOcean to run our databases, cache, sessions, queues, and most of our service, however we have to offload our file storage to AWS S3, and our email sending to AWS SES. This is easy to do though, and Digital Ocean is perfect for us, at a really great price. Our particular use case is running StyleCI https://styleci.io/. We provide free automated code analysis and fixing, running on Digital Ocean, for all open source PHP projects. "Horrible service and absolute ignorance to loyal customers!!!" Used to like reliability. They have moderate prices and good functionality. “We sincerely apologize, however, there was an incident impacting the Spaces service that resulted in a number of Spaces and the data within them to be deleted. At this time we're performing a full internal investigation to determine what the cause of the issue was as well as why it happened. Once we have a full understanding and additional details to share, we'll follow up. I took severe loses… Now I am in the process of transferring to another service. Well, decide for yourself whether use their services, but I am really devastated by both my losses and their absolute ignorance. Do not use this service if you value your own business. Hosting of entire company's infrastructure. Good functionality and performance. "Easy to use VM service for individuals, has good documentation and community"
1. DigitalOcean (DO) is easy to understand and wrap your head around the whole concept - it is mostly just a VM provider where VMs are called Droplet and you can create one or multiple ones on demand - that's all. Compare that to AWS and you'll understand where too much customizability can take you. AWS is literally so comple that you cant even make out which service you actually need. 2. Documentation is very very nice and detailed - they have guides for all topics from basic ones like setting up ssh to advanced like provisioning multiple machines with failsafe. It is always very step-by-step and embedded with images where needed to make sure that you can definitely replicate the same steps. It is not just some geeky instruction where new developers can even understand what some of those terms even mean. 3. They have a playful branding which works really nice and reinforces the thought that they are easy accessible and for everyone. 4. Block storage introduced recently to add extra storage space to your droplets. Although their service started as simple VM service, they were forced to introduce some customizable add-ons due to user request, which in turn makes them a little bit more complex every day. THey have introduced : Private Networking, Creating multiple droplets, Backups, DNS service, Block Storage and a lot more over time. I hope they understand their USP and know where to stop adding more things which are not much useful. I would still congratulate them for keeping UI simple for all that it can do and attracting new users who actually turn into profitable customers with time. If you have not tried it out, do give it a trial which is free for 2 months. After that, you can make your mind. Even if you dont like it for all your intended purposes, you should find it valuable when you need some quick and dirty server. We use it to deploy development branch of our products for internal manual and automatic testing. This is like our staging server before we release it. It is easy to setup those machines like our target machines using cloud-init scripts supported by DO. "Fast, simple cloud servers for testing and small production usages"
The usability and speed, it allows you to run testing, fast checks of infrastructure and deployments quickly on small instances without having to spin up whole EC2 sets. It's fast, good for development and a great boon to any developer looking to test server software or other things. Additionally, the general dashboard and access is a very nice experience, and makes everything very fast to access without any fuss in-between. Server provisioning can literally be done in less than 15 mouse clicks, which can't really be said for any other major provider. That said, the API could do with some work in terms of what data you can export and what parts of a server you can modify externally. The pricing model means that if you are using it in production then your monthly fees will quickly skyrocket on larger deployments, additionally there is no secondary backup facility, requiring you to set this up manually. A VM export tool would be an interesting possibility. Don't use it for large production setups. It can be really detrimental to your wallet when things get larger, since a lot of the scaling gets very expensive after the larger instances. In terms of testing large-scale setup procedures such as firewalls on a fast-to-reset cloud platform, it is unparalleled. Additionally, if you need small-scale infrastructure for personal projects or smaller-scale tests, it's a very fast and cheap way to acquire that. "Probably the best cloud service out there today!" - The User Experience on DigitalOcean is amazing. everything is clear and friendly. - The Pricing model is fair and simple to understand, no hidden fees. - Simplicity, there is no overload of different services and consideration to make. just start a server and work. I would unable more flexibility on droplets setup. i have a few use cases where i do need a lot of RAM for data processing automation but I don't really need a lot of hard drive space and i end up paying for a larger droplet. I wish DigitalOcean offered a static file hosting service (like S3) for 80% of the use cases where all you need is a simple file server for a static website. DigitalOcean is a really good solution if you have a basic setup and you don't what to start thinking too much on implementation. It is great for the POC/MVP stage of projects and a great fit for simple services or websites. The performance is good and the support is amazing. they have tutorials for Everything! It is great for beginners and experienced developers. DigitalOcean enables me to build a lot of websites on a limited amount of financial resources. unlike the competition it is very very clear how much you will pay at the end of the month and there are no extra fees for the trivial stuff like attaching domains to your servers. "Cheap and easy, but slightly lacking in performance"
I love the easy setup of droplets and the simple application installer. I use ghost to run a blog, and their installer makes it much quicker for me to start my app. Their pricing is good but not the cheapest... For example, Vultr offers 800mb (around that) ram for the same price digital ocean offers 512 mb. Make sure to set up ssh, their terminal client it the browser is sub par. I use digital ocean to run my blog and a ubuntu server on which I host several projects and a sandbox. My absolute favorite thing about DO is that its charged on a low interval. For example, I can fire up a ubuntu server with 1gig ram for 3 hours for about a cent. "Best platform for any size team!" DigitalOcean has always been my go to VPS service and development setup environment for as long as it has been around! I love DigitalOcean and the really cheap and powerful VPSes offered to my team! DigitalOcean gives people many opportunities and helps new customers by giving them coupons that offer you up to a month or two of FREE VPS hosting (based on your VPS size). DigitalOcean also has a simple plan that is super easy to use and fast. Love the speed, amazing and super easy to work with for teams of all sizes or even individual developers! For personal projects I can quickly spin up a Droplet (VPS Server), and get up and running in about a minute! For group projects I can run multiple droplets in a production environment way and it works just the same! Spin up as many droplets as I want, when I want (after speaking to the team and removing the 5 droplet limit of course)! To be honest, throughout my years with DigitalOcean I have no noticed anything that I was unhappy with! I truly would like to point out one single flaw and that is the network speed. DigitalOcean's network speed, sometimes, is a little slow! But for the most part, it is fast enough to get your work done and doesn't seem slow when operating the web server. It only seems a little slow during updates and when they are being pulled from the repository. If you are looking for a simple VPS hosting service that is cheap and gives you all the power you need. DigitalOcean is the place to be! They offer great coupons to get started with $10 (pay $5 to activate your account) and then you now have $15 to work with and 3 months of hosting for their smallest VPS with 2 months completely free! For companies they have great options and to be very clear, the speed at which development and production servers can be spun, with their API even, is very quick and allows for amazing flexibility! Currently we run a few VPS servers that control our main development "board". All of our developers use these servers running Dokku in order to fast deploy our test applications before releasing it to the market. We have a few production servers as well but mostly development servers. We all connect to the servers via an API and I personally have access to the main panel. From their we can easily create, delete or back up droplets! The main clear benefit is that it is dirty cheap and super simple. The backups allow for lower chances and point's for failure and the speed allows us to develop much faster on the servers unlike many other development environments! Over all, LOVE DigitalOcean! "A money saver virtual cloud servers platform for Developers and Beginners"
Simple and friendly UI for managing servers and prebuilt images for various development stacks. HDDs are SSDs which means the images run very quickly. I love their referrer program! You can earn up to 25$ from a referee and there is no limit to the amount of credit you can earn through referrals! Their pricing model is fantastic for Beginners and Startups. Bandwidth is excellent and fast! One-click Apps and Snapshots features are great for beginners to try out different services. Their community documentations are so rich that it is easy to find the right solution for server guidelines. Though their pricing model is reasonable, however instead of some fixed pricing model, they should allow users to customize server RAM, CPU, Bandwidth, HDD and charge them accordingly. If you stop your server they will still charge you, unless you take a snapshot of it and then destroy it. Limited Bandwidth should be increased for lower priced plans. Want to try out how to setup a server or want to become a sysadmin? Want to play with your business idea? Then i would recommend you to go with 5$ DigitalOcean plan and follow their community guidelines. "One of the best VPS provider for the price"
Something I missed was uploading a custom image to create a server from. Apart from that, firewall would have been great, but thats nitpicking. Digitalocean was all we needed for most of our tasks, and I suspect you will feel the same. Give it a spin, you might never leave it. Previously we used openshift to run our custom, in house servers but quickly ran into a wall when not using any of their pre-built configurations. We needed root, and realized the need for a VPS. Decided upon DO after comparing the cost (when do we not) and never looked back. Right now we have a few for a database, a nodejs server and then some. * We monitor all DigitalOcean reviews to prevent fraudulent reviews and keep review quality high. We do not post reviews by company employees or direct competitors. Validated reviews require the user to submit a screenshot of the product containing their user ID, in order to verify a user is an actual user of the product. Hi there! Are you looking to implement a solution like DigitalOcean?